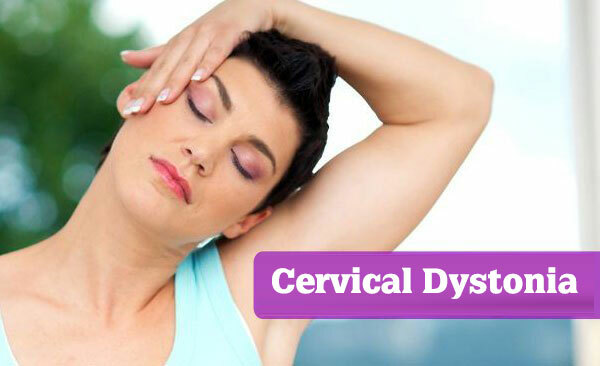 Cervical Dystonia, is also known as spasmodic torticollis, is the condition where you can experience an uncontrolled tilt of your head.The involuntary contraction of your neck muscles is the responsible factor for this. It compels the head to twist or turn to one side. Very unfortunately, it is a very painful condition and it`s complete cure is still in confusion. But for some very lucky fellows, it may resolve even without treatment and a sustained remission is really uncommon. Cervical Dystonia is a rare condition affecting all age groups but the incidence is more often in middle aged women. The genesis of Cervical Dystonia still remain unknown but it`s connection with genetic factors is firmly established. The involuntary contractions by your neck cause the head to move in different directions. The most common type of movement associated cervical dystonia is chin tilting towards the shoulder. Combinations of abnormal head postures are also experienced by most of the patients. Jerking motion of head can also be seen in some. Pain is another major symptom of cervical dystonia. The severity and kind of pain varies from person to person. As this condition is rare as well as difficult to cure completely, one should consult with doctor as soon as possible to have a good prognosis. If Cervical Dystonia is left untreated, the involuntary contractions can even spread to the neighboring sites. The most affection is towards the jaw, face, arms and trunks. They can even begin with bone spurs which in turn reduce the space in spinal canal producing numbness, tingling and weakness in legs, feet, arms and hands. Among the tridosha – vata, pitta and kapha – imbalance in the vata dosha is the main culprit for cervical dystonia. The aggravated vata is the cause for involuntary neck muscle movements. The condition is referred to as Manya Stambha in Ayurveda. As the vitiated vata is the offender, the line of treatment of Dystonia is to pacify the vata dosha. 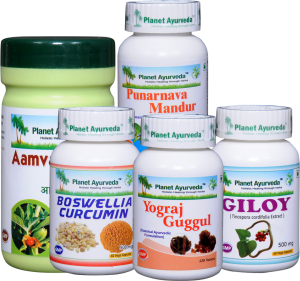 Planet Ayurveda has herbal remedies which are efficient enough to do this action. It is a rejuvenative supplement and helps in supportive therapy. The primary action of Yograj Guggul is muscle relaxation, which is very beneficial in cervical Dystonia patients. It is an excellent remedy for muscle spasm. Yograj Guggul is widely used in vatika diseases. In Cervical Dystonia, Yograj Guggul is one of the best choices of medicines as it pacifies the aggravated vata. Capsules are prepared out of Guduci (Tinospora Cordifolia). It is considered to be as elixir and do posses rejuvenating properties. It also has an anti allergic, anti inflammatory, anti bacterial and anti viral properties. It boosts the immune system and acts as immune modulator. It helps in the detoxification of the body, as it is enriched with a lot of natural antioxidants. It is a natural blood purifier. Combination of two drugs Shallaki (Boswellia Serrata) and Turmeric (Curcuma Longa). They are potent anti inflammatory drugs. They help to boost the immune system and also to modulate. They are mainly indicated to enhance the blood circulation in the body. Curcumin is a potent anti-oxidant. It is very popular for its antibacterial action. It helps to relieve the pain and inflammation. They are also possessed with antibiotic and antiseptic properties. These herbal formulations are proved to be highly effective in the management of Cervical Dystonia. They are free from side effects as they are manufactured with no added preservatives and chemicals. 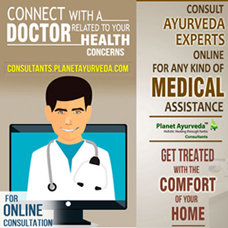 Dr. Vikram Chauhan (MD-Ayurvedic Medicine) is an expert Ayurveda consultant in Chandigarh (India). He has vast experience of herbs and their applied uses. He has successfully treated numerous patients suffering from various ailments, throughout the world. He is CEO and Founder of Krishna Herbal Company and Planet Ayurveda in Chandigarh, India. He researched age old formulas from ancient Ayurvedic text books to restore health and save human beings from the worst side-effects of chemical based treatments.